Another week, another pivotal development in the ongoing “fresh” war between Amazon and Walmart. Just recently we wrote about Walmart’s new JetFresh delivery service and its quest to win over New York City. On Friday, however, the focus shifted clear across the country to Seattle, where Amazon has just unveiled its AmazonFresh grocery pickup service to Prime members. It’s the online retailer’s first foray into the brick-and-mortar grocery business. You think folks are paying attention? 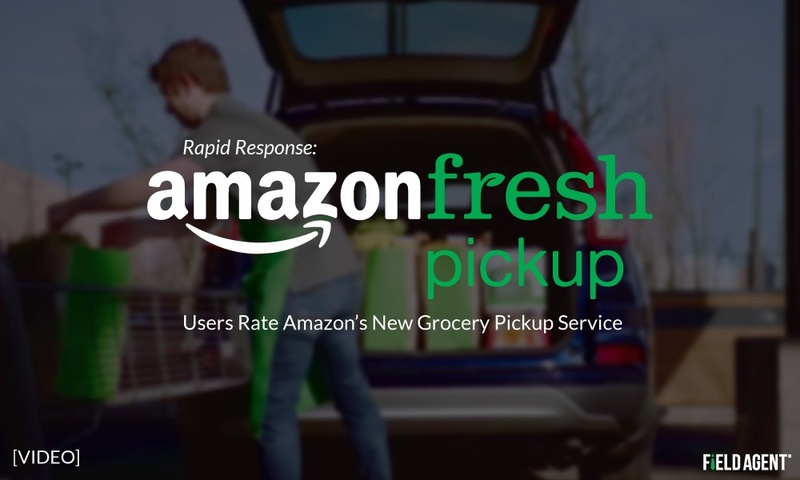 What Do Shoppers Think about Amazon’s New Grocery Pickup Service? This week, retail-auditing firm Field Agent dispatched a total of 20 Seattle-based Prime members to mystery shop Amazon's two pickup sites: one in the SoDo neighborhood, the other in Ballard. Prior to visiting the pickup site, agents were required to shop for and purchase at least $10 worth of groceries on the AmazonFresh website. One of these items, we stipulated, must be fresh produce. 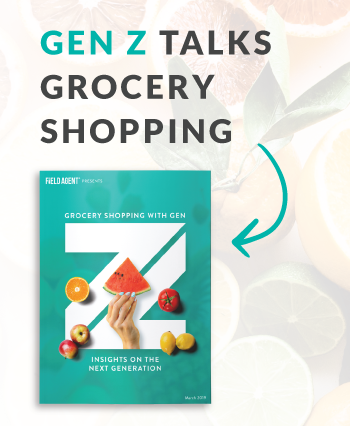 As you can see from the footage below, our agents captured photos, video, and even audio commentary from their firsthand experiences with the grocery pickup service. Scroll even further down for the full results from this important mystery shop. 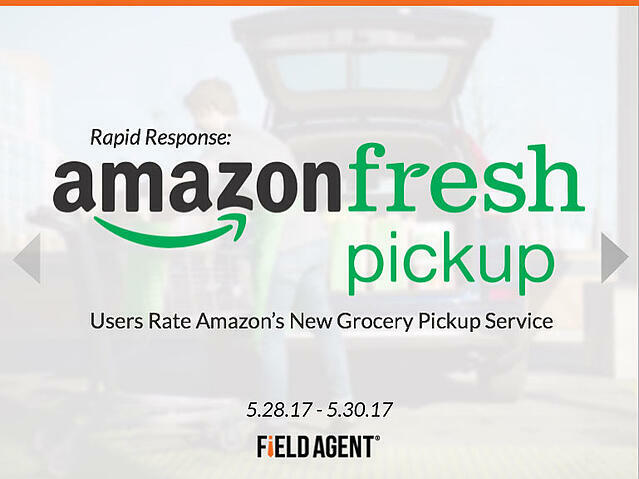 Following both the online-shopping and pickup portions of the study, Field Agent asked a series of questions to understand participants' experiences with and attitudes toward AmazonFresh pickup. See Also: Will Americans REALLY buy groceries online? Amazon is known for its fantastic online user experience, but mystery shoppers also found their pickup experience to be fast and easy, with 95% calling "the pickup site and process overall" very good. The Field Agent Blog is your go-to resource for late-breaking insights and information. Subscribe to our blog today…and never miss a beat from the ever-changing world of retail.